I’ve been pretty lax on posting here this year. 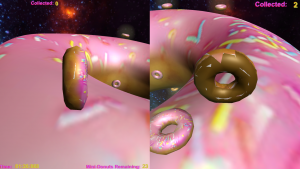 The main reason for this post is that I realized I hadn’t posted about Donuts in Space, which is a game I made explicitly to put on the Donutron. 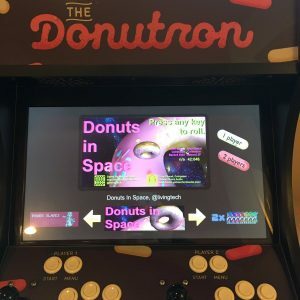 In case you’re not familiar, the Donutron is a donut-inspired arcade cabinet installed at Glam Doll Donuts on Nicollet and 26th in South Minneapolis. So the other reason I wanted to post is that I keep meaning to write about Unite Austin. First of all, I decided to go to Unite because a) Unity is a good chunk of my freelance work now, (easily 50% in the last year, possibly as much as 80%), and b) it had been a while since I went to a technical conference where I expected to learn anything. I did learn a bunch, mostly about the new Timeline and CinneMachine features built into Unity 2017.x, but also a bunch about various AR stuff. I also got to try out demos of the Microsoft “mixed reality” headset and software, as well as the Meta 2 AR headset. I showed a bunch of my games at the Twin Cities Maker Faire in June. I showed an early version of Action Go at MinneBar in March. And I’m still working on Puzzle Prison. What am I even working on!?! 2) Last year I did some preliminary work and got my very first game (Go-Tetris) playable on iOS. It’ll be called ActionGo. Since the new AppleTV announcements yesterday, I now hope I can push this out sometime in the near future, with AppleTV support. 3) Similar to Root Down, I’ve had an update to ActionChess in progress for several years. Not taking the time to do it right means that I’ve got to untangle a large pile of spaghetti code to get it done, but the update will add 1) Universal support, 2) One or two minor added game modes, 3) A major new game mode that is more of a “static puzzle” game. 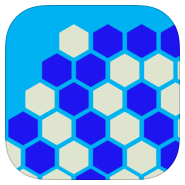 I’m calling it puzzle mode, and may also release it as a stand-alone app. 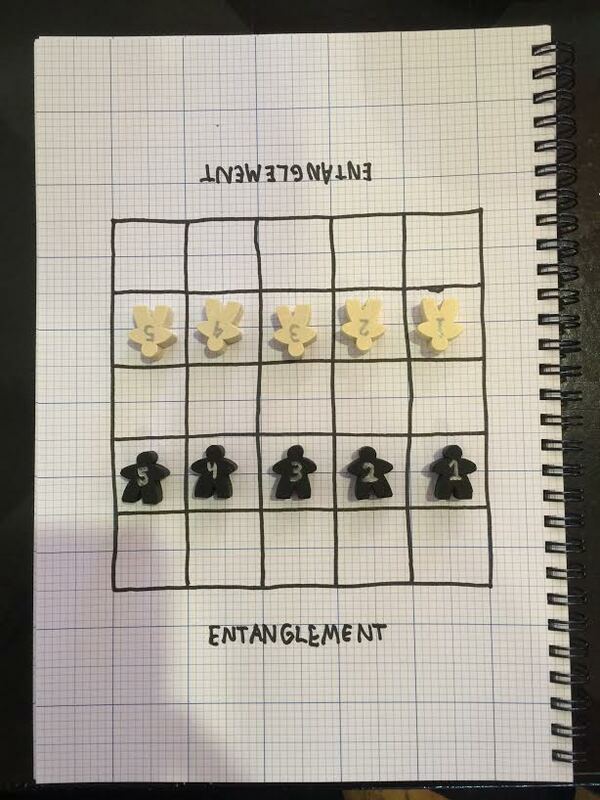 4) I’ve got another action puzzle game in the works that is currently without a title. This is not a board game mashup, but does mash another game genre into the mix. I have an artist (possibly two) I’m collaborating with there. 5) I’m rather slowly trying to learn Unity. 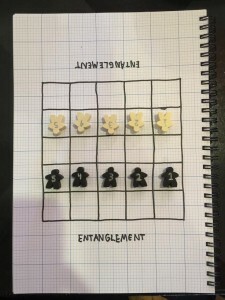 I have a project I’m going to make in it, since I agreed to work on a touchscreen version of Entrapment, (the great abstract strategy game by Rich Gowell). So far, I’m a bit hung up on some of the Unity best practices, but I can’t wait to make some progress when I can focus on it. 6) Finally, I have a series of playground games I’m working on. Don’t want to go into too many details, but essentially it’s a playground video game. Hopefully I can bang out some of these app updates in the next couple of weeks, and focus on ActionGo until the new Apple TV comes out. I’m also experimenting with some cross-platform frameworks. 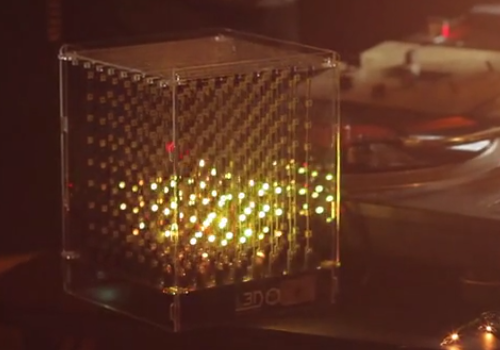 I’ve played a bit with OpenFrameworks, and have also spent some time looking into OpenFL (HAXE). In theory either would allow me to publish games for iOS & Android at least, and whatever other platforms they support.